In ODBK we observe that the price of the artwork of an artist is in direct relationship with the level of their prestige in the institutional world set up by curators, art galleries, collectors, museums, etc. Hundreds of hidden and subjective variables are playing to define the different positions of the artist in the art market in a period of time, like convenient friendships, rich family origins, sexual favors, drugs, etc. That’s why in ODBK we use a methodology making an international referendum using the database of AMARC members to evaluate the “pure taste” of the work of an artist. This referendum is executed by the three groups of people affected by the decisions of the art market: institution, artists and art lovers. Giving as a result a “pure taste” indicator based on the fine art knowledge of this representative group of the art world without hidden variables used by the current art market to speculate with the artist name and artworks. 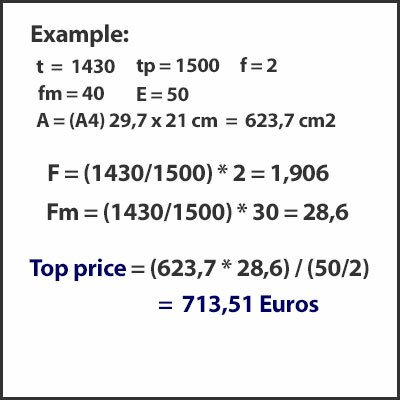 The “pure taste” is represented by a number that situates the price of the artworks of an artist in a cap range price. 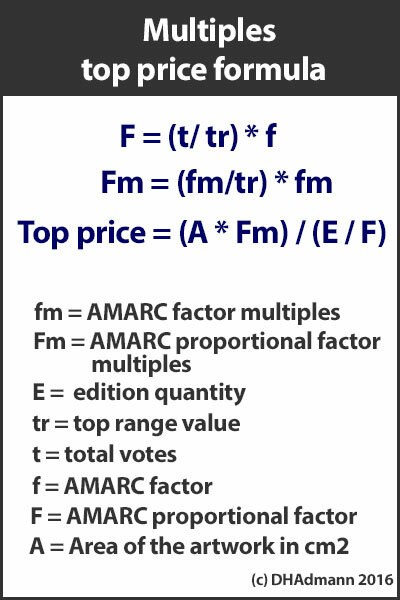 The “Pure taste” indicator and the artworks cap-price calculation formulas are based on the decisions made by the three groups that conform to the AMARC: institution, artists and art lovers. 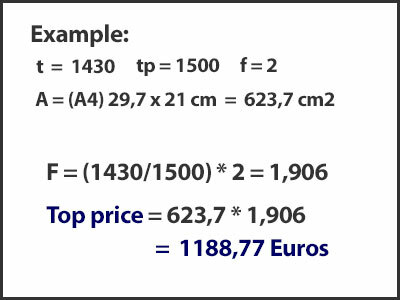 At this moment the ODBK provides formulas to calculate the cap prices for two dimensional works, in the cases of originals and multiples. 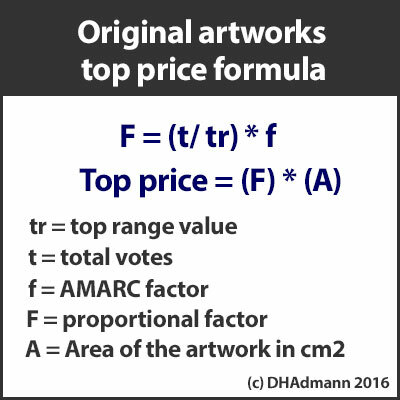 Important to mention is that the formulas calculate “cap-prices”, that means the price of the artwork of a specific size in cm2 used to calculate the “cap-price” could range between 1 and the “cap-price”, as maximum, calculated in Euros. In the fourth step every person selected for the decision process will receive an email with a unique link with the information of the artist and a link to give their votes. 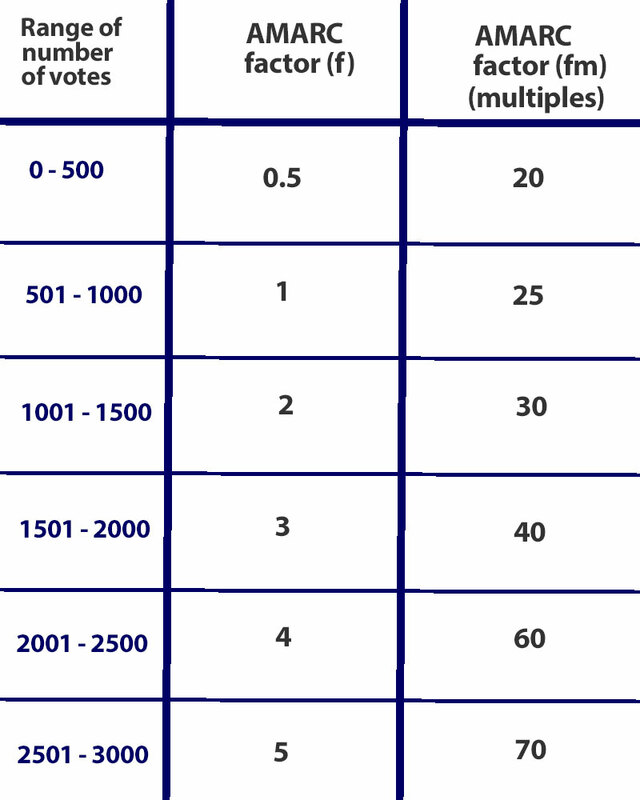 Each voter will give the artist an amount of votes between 1 and 100. After the evaluation process the referendum throws a number between 30 and 3000.